Basement remodeling and renovations can often be a very cost effective home improvement. In most cases electrical and plumbing issues, if needed, are lessened since the basic infrastructure is already existing. Basement ideas can include bars, playrooms, rec rooms, extended laundry rooms, home offices, etc. Your basement plans will depend partly on your house's foundation type and any problems it has. 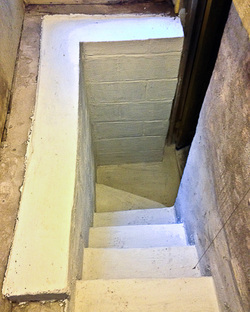 A solid foundation and basement floor will be the cornerstone to a great basement remodeling project. Foundation repairs do not always require the complete removal of foundation walls to stop water penetration. Local building codes will dictate your repair options. Cracked walls or missing mortar can easily be fixed once the source of the issue is uncovered. Things like improperly placed downspouts can impact the health of your home's foundation but are easily remedied. Call us first for existing foundations that require repairs for bowed walls, water penetration, movement off footings, or cracks. 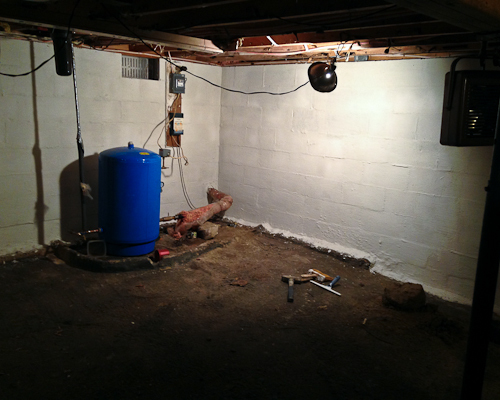 If you don't use your basement or crawlspace much you may ask yourself if you need to worry about water issues. The answer is yes. Nothing good ever comes from unrestrained water inside a home but, happily, the remedies can sometimes be fairly simple and painless and range from using sealer to foundation repairs and sump pumps. One of the nice side effects of these projects is that they often assist with radon gas mitigation. Another nice perk is additional living space and storage areas. A humid basement can usually be handled by an appropriately sized dehumidifier. 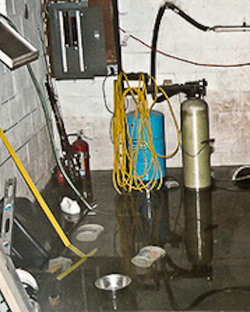 A wet basement is far more concerning and is likely to need some form of home foundation repairs, foundation sealer projects, sump pumps, and/or exterior excavation. You don't need to be excavating a basement or jacking your house to solve these issues but you may have to and, if the budget allows, it is a great starting point. 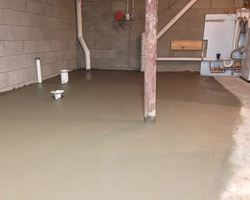 Basement Waterproofing: Sealing interior walls of the foundation. Follow Bill Pearn Masonry's board Basements on Pinterest.